A marketing automation system is a tool that combines many different functions of day-to-day marketing, like email marketing, content creation, social marketing, PR marketing, and SEO & website analytics. Individual programs and applications can be integrated as part of a marketing automation system, which together is called a marketing technology stack, making individual processes highly unique because of the ability to customize different marketing campaigns. Whether you operate in B2B, B2C, eCommerce, SaaS or another industry, using a marketing automation system will enable more fluid operational functionality. What I'd like to talk about today is a function tied to marketing automation systems: Lead nurturing. In doing so, we'll also answer: How does a marketing automation system lends itself to benefit a lead nurturing campaign? We'll compare 2 marketing automation systems, HubSpot and Pardot, to answer this and, if you're interested, help you choose one to start out with. Why Consider a Marketing Automation System Focused Around Lead Nurturing? Lead nurturing focuses on the middle-of-the-funnel (MoFu) stage of your sales process, which looks to guide and convert leads into customers. 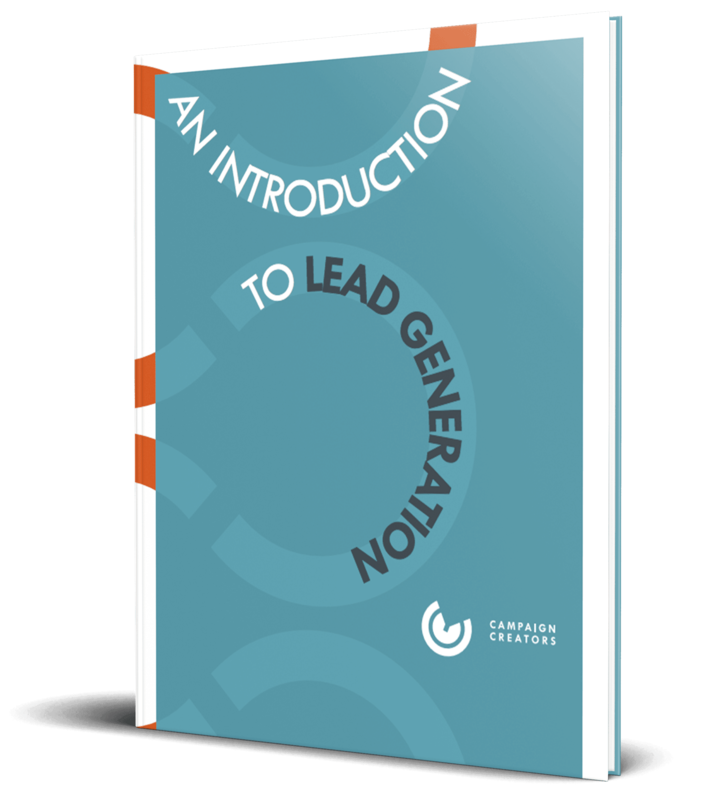 Lead nurturing accomplishes this by educating leads with valuable content sent via multiple communication channels such as email, social media, and more. Through these channels you can promote premium content to guide leads to your website and collect valuable contact information through gated forms. why choose a marketing automation system for greater focus on lead nurturing? Not all marketing automation systems have the same lead nurturing capabilities, so choosing a marketing automation system that employs the most effective capabilities is key. An important aspect of nurturing leads is user experience, so a MAS that isn't user experience-oriented can lack in providing strong lead-to-sales conversion ability. Just think: How can you effectively nurture leads when your MAS is difficult to use and understand? Intuitiveness when operating, creating and delegating a MAS's workflow functions. What Are some more Marketing Automation System's (MAS's) Lead Nurturing Capabilities? For example, B2C emails can nurture leads by re-engaging them with information about incomplete purchases, which of course is focused on driving more sales conversions. This nurturing strategy is fueled by marketing automation software, such as MailChimp or Shopify, with which you can segment leads for specific email nurture workflows based on a lead's actions. This nurture strategy is effective, because it seeks to communicate with a business's most qualified leads and even previous customers. Doing so helps build a greater customer-business relationship. Additionally, a beneficial side-effect of using a marketing automation system for lead nurturing is that it provides frictionless marketing. What Is Frictionless lead nurturing? The more points of contact between you and a lead, the more friction. Although every lead is different - some need more points of contact than others - guiding a lead through your sales process with as few points of contact as possible (or as frictionlessly as possible) is ideal. Subsequently, the less friction, the more successful sales conversions. Now that we've covered some of the benefits of lead nurturing as a focus for when choosing your MAS, here are the lead nurturing features offered by HubSpot and Pardot, starting with HubSpot. HubSpot's team focuses on educating partner agencies and providing the foothold required for nurturing clients and leads. They offer services outside their marketing automation system itself, such as relevant training courses and material via HubSpot Academy, to properly educate partner agencies' marketing, sales and customer service teams about different operational capabilities. HubSpot's Growth Suite, which includes all previous software and is purchasable at 25% off of original levels' prices. Let's talk about HubSpot's nurturing features up-and-until enterprise level while looking at how to nurture in different stages of your sales funnel. HubSpot offers more than a few features attributed to nurture marketing in the ToFu stage. These features are focused on educating prospects, website visitors and leads in the earliest stage of your sales funnel. So, what are HubSpot's ToFu nurturing features? To start, there's blog and other content creation. Blogs and other content, like social media or website pages, usually are equipped with a CTA, which sends visitors to landing pages. If they choose, they can then provide you with their contact information in exchange for a premium asset. When you've gained a visitor's contact information, they become a prospect. HubSpot, additionally, has prospect tracking, which tracks how close a prospect is to converting into a lead, based on when they progress further down your sales funnel. Depending on the path they take, which landing page they visit or other factors, prospects can be segmented into appropriate marketing workflows, which in-turn, allows you to nurture them more personally. Additionally, you can incorporate event-based segmenting filters as part of your sales funnel(s) that react accordingly to prospects visiting unique sets of website pages. This means, prospects can easily jump to being MQLs, SQLs, unqualified or hot or cold, based on their actions. What makes it easy and organized for your marketing and sales team is HubSpot's single sign-on feature, which allows every member of your team to access running campaigns, workflows, among so much else, to properly nurture your target audience at every stage of your sales funnel. Lead qualification bots, which are automated response tools, ask specific questions and ultimately better inform you of the lead's quality, provide context of the lead's needs, and can even set the lead on a sales path via appropriate workflows. Manual and predictive lead scoring, which both assign values to leads based on lead properties and their interactions with your brand. In HubSpot, you can use goal-based nurturing to assign goals that you want leads to reach in your campaigns. Then, use contacts and company reporting to assign properties and values to contacts which can be used in-combination with email workflows and templates. As stated, HubSpot provides lead nurturing via email marketing which includes email personalization and mobile email marketing abilities. You can also automate email workflows to efficiently contact leads. Additionally, to avoid your email campaigns being interpreted as spam, you can enable email frequency safeguards in HubSpot. 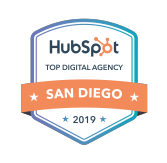 Using HubSpot's marketing automation, you can direct leads to your website and landing pages with dynamic content specifically designed to meet their needs. You can also use HubSpot video hosting and video management to include engaging video content as part of landing page or other website pages you design. Leads become sales-qualified leads when they reach the bottom of your sales funnel, but that doesn't mean you should quit nurturing them. Instead, aim to delight them with appropriate offers. Custom revenue reporting which, through similar processes, track the path that a successful lead-to-customer conversion takes and how it impacts revenue. How Much Help Do HubSpot Partner Agencies Receive from HubSpot's Support Team? The learning curve of HubSpot isn't too steep, so learning the MAS isn't that daunting. However, for HubSpot Pro and HubSpot Enterprise, the learning curve is slightly steeper due to the inclusion of many features. So, when setting up your HubSpot marketing automation system, there is remote on-boarding available for a fee of $300 (applicable only to Starter and Pro) and advanced remote on-boarding for Enterprise for $8,000, or on-site for $15,000. Outside of setting up your HubSpot marketing automation processes, communicating with HubSpot professionals, both over the phone and by email, is pleasurable and stress-free. Additionally, HubSpot provides a community forum to ask and answer questions. Furthermore, the MAS has premium support packages at additional cost. Pardot is a marketing automation system used in-combination with Salesforce's CRM, and because of that, it has greater popularity in the realm of mid to large-sized B2B companies. Its use is mostly aimed toward lead generation and lead nurturing, but we'll just focus on the latter here. What nurturing features does Pardot offer for the different stages of your sales funnel? Some features here may be repeated, but I won't waste your time going over them again. Instead, let's just list them off. However, I encourage you to not be negatively influenced by the lack of substance you see in these successive sections versus that of HubSpot's sections. In the ToFu stage, like HubSpot, Pardot also offers prospect tracking as a nurturing feature. Pardot also offers email A/B testing in the MoFu stage as a way to test email metrics (click-through rate, open rate, etc.). Use this feature by testing an email's various elements, such as different subject lines, HTML vs. plain-text, calls-to-action, and video versus image. To be fair, HubSpot also offers email A/B testing in the same capacity as Pardot. Finally, for the BoFu stage, Pardot also shares with HubSpot the lead nurturing feature of multi-touch attribution. 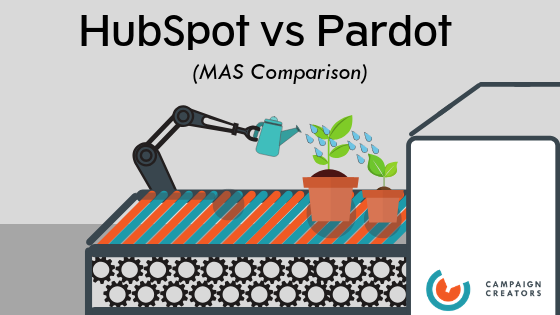 Well, it seems like Pardot in its own right has a bit to offer, but how does it really compare against HubSpot as a MAS? Pardot isn't as well-rounded as the latter, to be honest. Unfortunately, for any real leg up on the competition, it should be used in unison with its proprietor, Salesforce; otherwise, the overall user experience is lacking. Additionally, general consensus on the review board, G2 Crowd, has said that Pardot's UI leans toward being unintuitive. So, unless you're already well-acquainted with marketing automation system capabilities, or receive on-boarding or supportive guidance, the time and cost needed to master this MAS is not worth it. That being said, even more additional time and cost would be put into learning the rest of Salesforce's CRM, if you choose it alongside Pardot. So, here's the verdict: Compared to the simplicity and effectiveness of HubSpot, Pardot is narrow in its nurturing capability. Pardot's learning curve is steep, HubSpot's isn't. Pardot's flexibility is moderate but limited, HubSpot's is high. Features within HubSpot are much more vast than those included in Pardot. Even looking outside lead nurturing, HubSpot includes more functions, like lead generation, management, sales and customer service. If you're interested in seeing a more in-depth, direct comparison of these marketing automation systems, and Klaviyo (an email automation platform), then look no further than our Martech Comparison Guide, to help decide which marketing automation system is right for you.